Yesterday we had a look at Gabriel’s beautiful black and white room, designed by the ladies at SISSY + MARLEY. Today I’ve got a list of sources so you know where to find the furnishings and decor pieces if they’re available! Some of these things are so hot they sell out before you even learn about them. 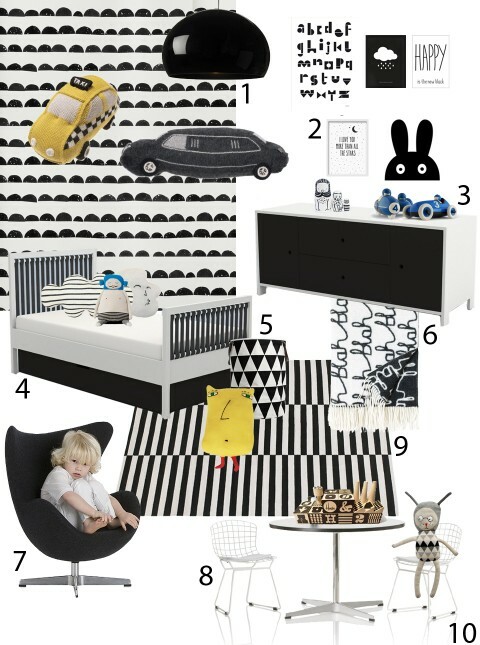 Don’t you just love the little pops of yellow and blue with the black and white?